In the spirit of the Halloween season, we’re dedicating this Destination Focus to the home of Corvin Castle and Bran Castle (among dozens of others), and a region that keeps the legend of a bloodthirsty Dracula alive: Transylvania, Romania. The name itself conjures thoughts of dark mystery, howling wolves, and maybe even garlic. Contrary to what lore has you believe, Romania ranks as one of Europe’s most charming and under explored regions, beguiling visitors with its stunning Gothic architecture, enveloping forests, and friendly people. Romania has majestic castles, medieval towns, great hiking and wildlife, and cheap skiing. There are signs that it’s chasing the dreams of the rest of the West. Horse-drawn carts jostle for space against fast cars whose drivers are talking money on mobile phones; farm workers watch Baywatch on satellite in their medieval farmhouses. Romania is clawing itself forward, slowly and surely sloughing off the remnants of the Ceausescu era. Romania is picturesque scenery and the headlong rush to development where the money is fast and the suits Armani. Nature: Recognized as the world’s third most biologically diverse area, the Danube Delta has been recognized by UNESCO for its outstanding universal value. Preservation and authenticity: The countryside is the heart and soul of Romania, where peasant culture remains a strong force and medieval ways prevail, as they do nowhere else in Europe. Rich culture: Romanians’ vivid imagination and intense spirituality have always been expressed through their architecture, music, crafts and traditions. Abundance of activities: With a terrain that ranges from steep and challenging to gentle and pleasant, Romania offers bikers and hikers of all skills and levels something special to enjoy. Romania is a year-round tourist destination. However, early summer (May through June) and from early fall (September through October) are the most popular sightseeing periods. The peak of summer can be hot especially in Southern Romania, but along the coast of the Black Sea, sea breezes offer moderate temperatures. 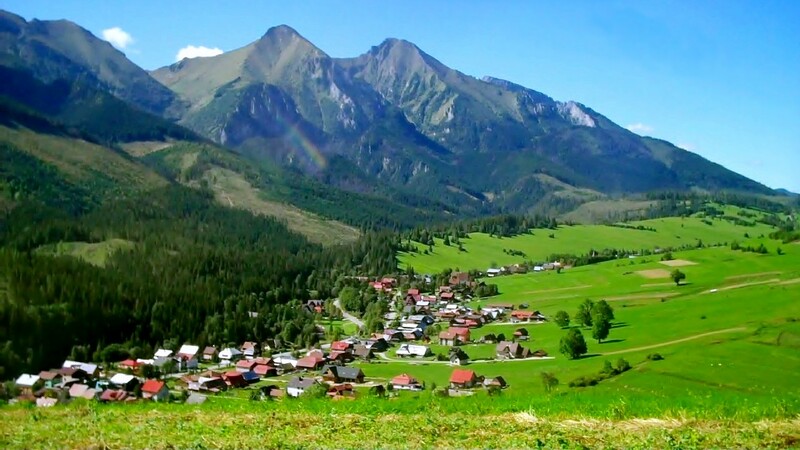 The mountain resorts and higher elevation areas are warm and pleasant during summer, while the winters can be very cold, especially in the mountains. Snow is common throughout the country from December to mid March. Skiers can usually enjoy their favorite sport in the Carpathian Mountain resorts from December until mid-April. Whether you’ve traveled everywhere and are looking for some place a little different, or you’re obsessed with Dracula or gymnastics, Romania is truly a stunning country where medieval castles meet unexpected modern day progress. In Romania, you just simply know you are in a different place. A special place. A place that is unlike anywhere else, and certainly not like everywhere everyone else at the cocktail party as visited. By small group escorted tour, or custom itinerary, experience a region that offers a little of everything. Interested in a visit? We invite you to contact us at 805-495-9888 or email town@countrytravel.com to find the best way for you to experience Transylvania… and beyond! This entry was posted on October 26, 2015 by townandcountrytravel in Destination Focus, Trips Worth Doing and tagged Bran Castle, Corvin Castle, interesting places to visit, luxury adventure travel, medieval towns, Peles Castle, Romania, town and country travel, Transylvania, travel agency thousand oaks ca, unique halloween experiences, unique travel.